Mr. Wayne Muromoto has been posting various articles and essays on the traditional Japanese martial arts over at The Classic Budoka. I’ve been reading through the archives there and finding a treasure trove of insights and perspectives. 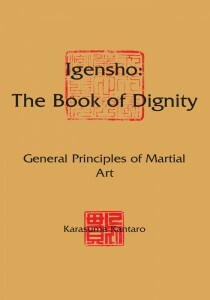 Each post has something of interest and relevance to anyone who trains in the classical Japanese arts. Just go through some of the recent posts and pick a few to start.